In most cases, you do… kind of. Every year you get a “yearly maximum.” Depending on your plan, it could be anywhere from $0‐$2,000 or possibly even more. Generally, 80‐100% of the cost of your cleanings are paid twice during your benefit period, which is typically January through December. 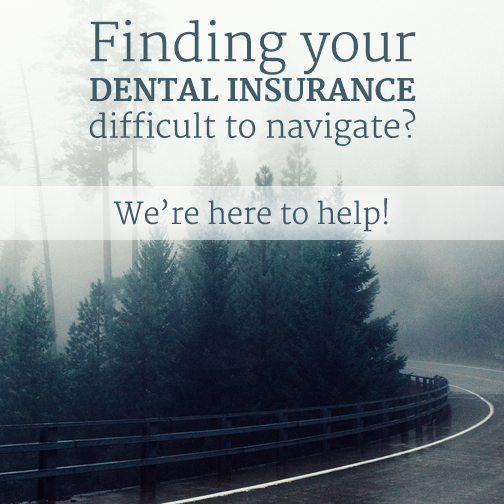 A PPO, or Preferred Provider Network, allows you to visit any in‐network provider/dentist. No matter which provider you choose, services with an in‐network provider will be covered at a higher benefit level than services with an out‐of‐network provider. So a cleaning that may be covered at 100% with an in‐network provider may only be 80% covered with an out‐of‐network provider. 18, fluoride will no longer be covered once he or she reaches 18. • A crown may be covered at 50%, but occasionally, a treatment on a single tooth will have a time limitation. Here’s an example: Let’s say you had a crown placed three years ago and it needs to be replaced. If your insurance only covers the same treatment on a single tooth once every five years, you’d be responsible for 100% of the cost of the new crown. • If you saw Dr. Kevin Bingham and a specialist around the same time, your insurance may pay the specialist first, which could max out your benefits. If that happened, your office visit with us wouldn’t be covered by your insurance, and you’d be responsible for the cost of the visit. 1. Prophylaxis cleaning (or a prophy) is a regular cleaning and is appropriate for a patient with a healthy mouth that only needs to be cleaned and checked every six months. 2. Scaling and root planing (or a deep cleaning) is required for a patient with unhealthy, bleeding gums. An extensive cleaning is done below the gumline (where your floss and toothbrush can’t reach) and usually anesthetic has to be used to help the patient feel comfortable during the cleaning. Depending on the case, this may need to be done every three to five years. Some insurance will cover this. However, regular cleanings and good flossing habits can help you prevent the need for this procedure. 3. Periodontal maintenance (or perio maintenance) is completed after a deep cleaning to help maintain the health of the mouth and to prevent additional problems. This type of cleaning is recommended every three to four months. We offer third party financing through Care Credit, which is a healthcare credit card that allows you to finance treatment costs anywhere from 6‐24 months. We know navigating dental insurance options can be difficult, which is why we endeavor to explain all costs involved with your treatment plan upfront. We want you to feel comfortable with every aspect of your experience at our Tulsa dental practice! Remember, insurance benefits don’t roll over from year to year. Use your benefits, don’t lose them! Call our family dentist in Tulsa at (918)-481-4925 to book an appointment today!